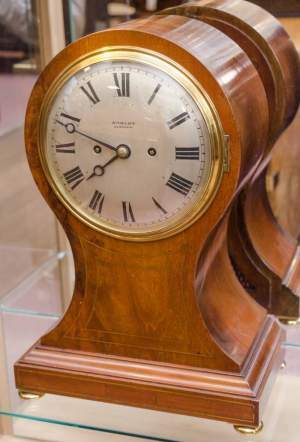 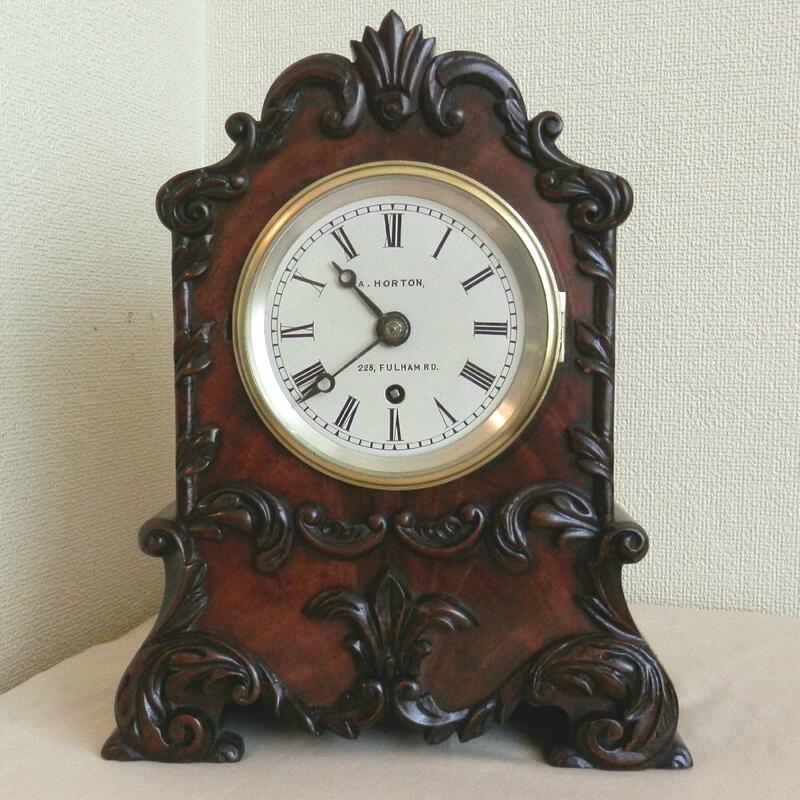 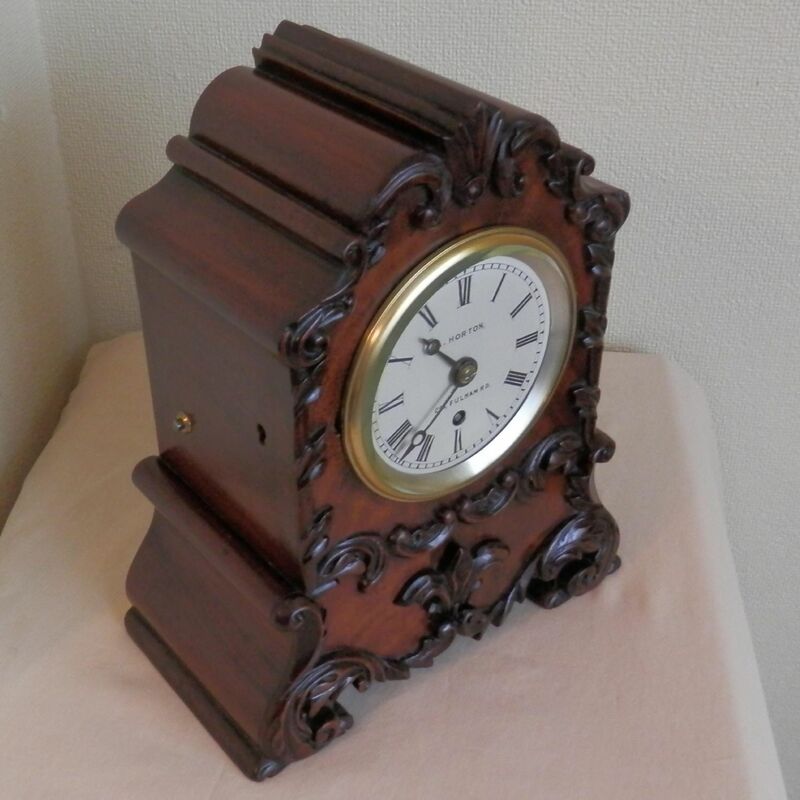 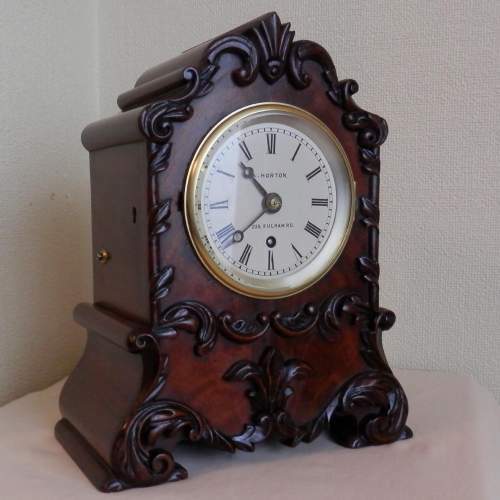 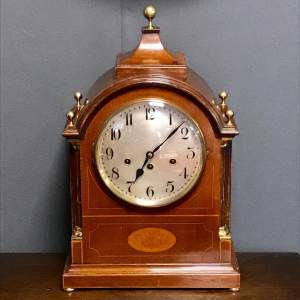 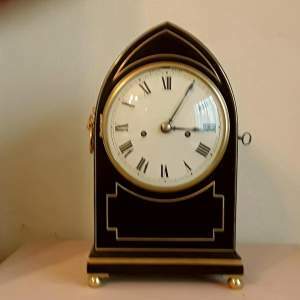 Small English timepiece bracket clock in mahogany case. 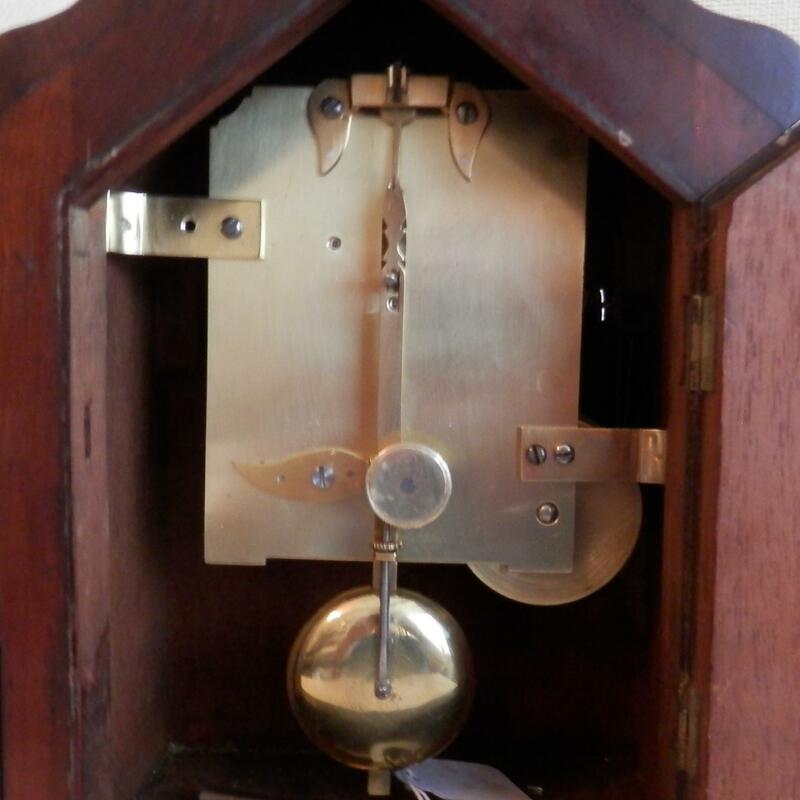 Unusually small English bracket clock signed A Horton 228 Fulham rd. Mahogany case with scroll and leaf carving , painted dial with roman numerals. Timepiece movement with gut line fusee and pendulum lock.